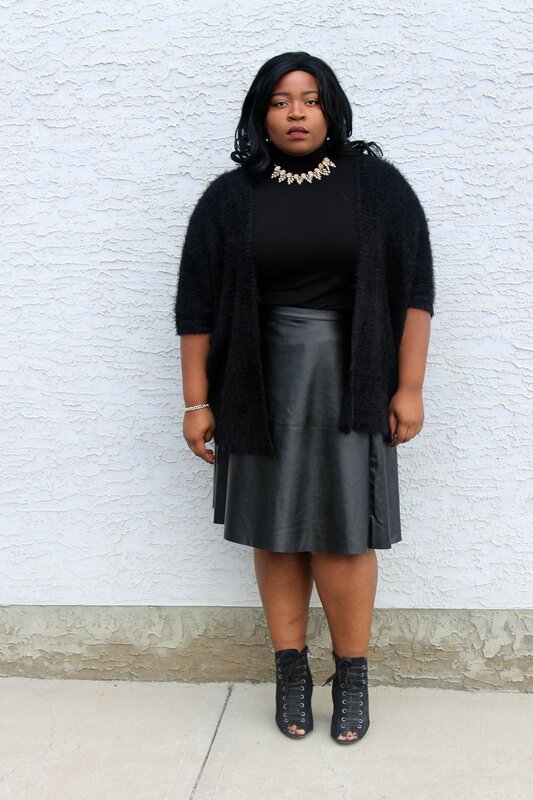 An all-black outfit is my go to every time. It is so easy to put together and always comes out looking crisp, clean and classic. There are so many ways of hitting the classic all-black look, so don't be afraid to try different combinations of black. 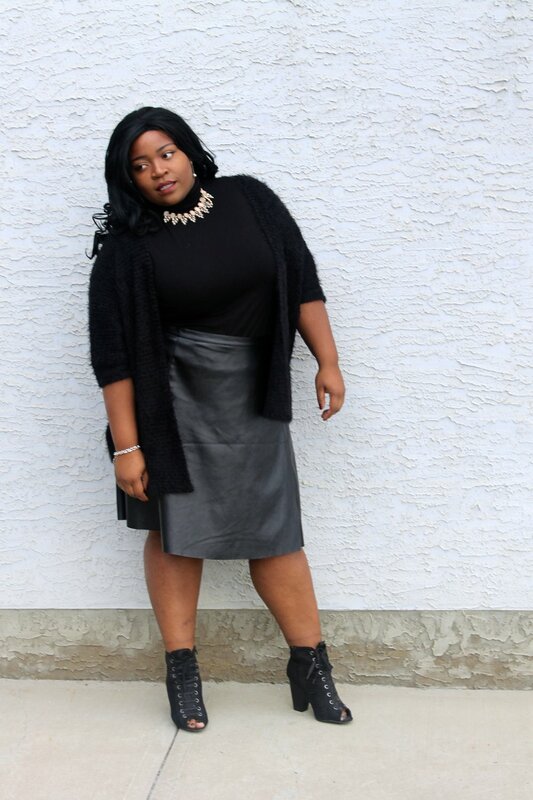 Here, I decided to change up the types of textures I used by pairing up the feathered cardigan with a matte leather skirt. A pop of colour can be added through accessories, which is where your personality can shine through!